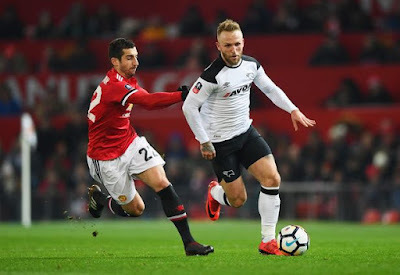 Manchester United manager, Jose Mourinho, has publicly apologized for substituting Henrikh Mkhitaryan, after the first half of their 2-0 win over Derby County in the FA Cup on Friday. Mourinho revealed after the game, that he said sorry to the Armenian in front of the entire squad. Mkhitaryan was hooked off after the first half ended goalless and was replaced by fit-again Romelu Lukaku. Mourinho’s tactical switch paid off, when Lukaku set up Jesse Lingard to score in the 84th minute. Lukaku himself then got a goal of his own six minutes later, to ensure United progressed into the next round of the FA Cup. “Unfair. I had to sacrifice a player. I apologised to him in front of the players,” Mourinho told reporters.